All OCD patients are not obssessed of organizing things. Their obsessions can be towards something else, for example collecting something. For example some hoarders are OCD patients. But I understand that it is difficult to express the diversity of OCD with just one simple art picture. I really like these. 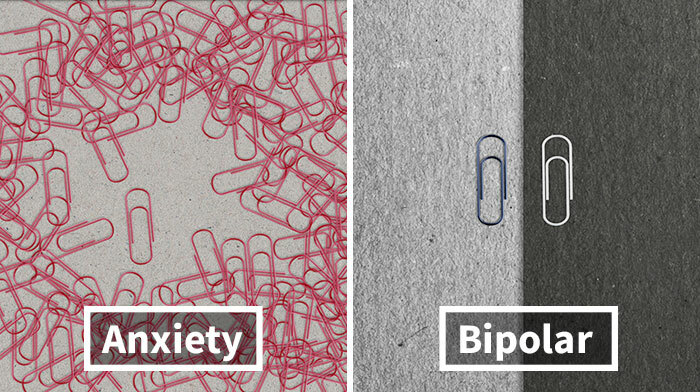 This one could also be hundreds of paper clips, or rusty ones (which would represent most people's horrible diets). 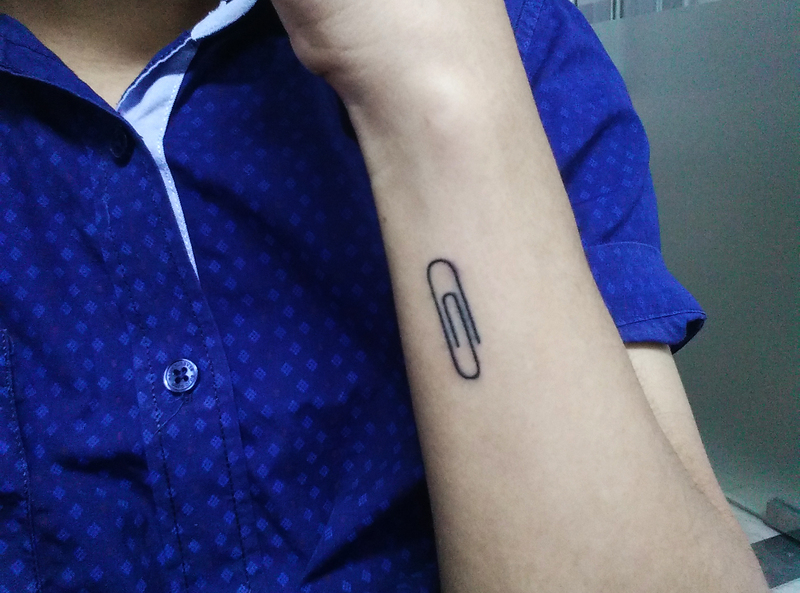 I think you're obsessed with paper clips, sir. But both your project and your tattoo are great! Quite often projects like this don't translate that well to people who don't already know what it would feel like, but I think your paper clips work. Also, your write up managed to get your point across in a factual manner instead of the usual style where people come across as whiney emo assholes crying for attention. I'm very impressed.